At once the cinema's first true artist and the most prolific technical innovator of the early years, Georges Méliès was a pioneer in recognising the possibilities of the medium for narrative and spectacle. 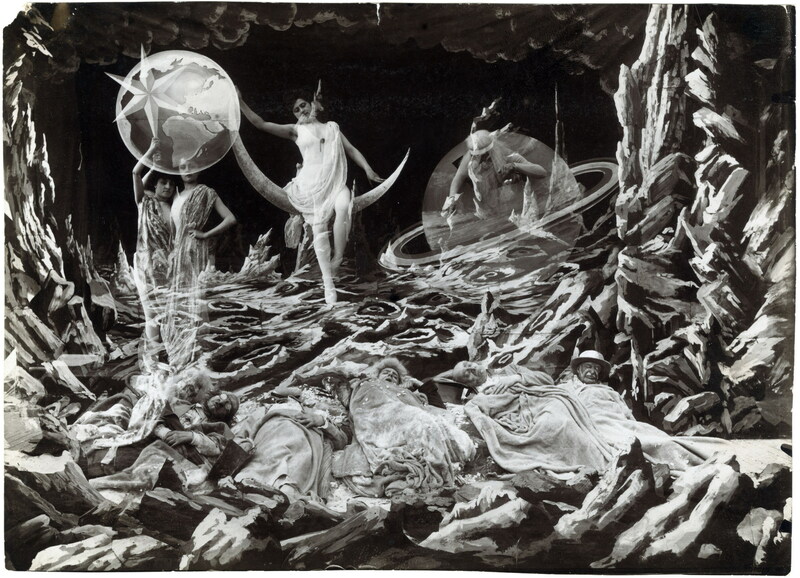 He created the basic vocabulary of special effects, and built the first studio of glass-house form, the prototype of European studios of the silent era. Although a pioneer of early cinema, his films have a sense of fantasy, fun and nonsense whose exuberance is still infectious after almost a century. Based in The Hague, the Catchpenny Ensemble is a platform of exchanging and practicing creative musical and other artistic ideas. The diverse background and the various inputs of its members lead to a fruitful and continuous musical dialogue. The combination of acoustic and electronic instruments, together with video art, cinema and audio-visual installations is Catchpenny Ensemble’s main characteristic. 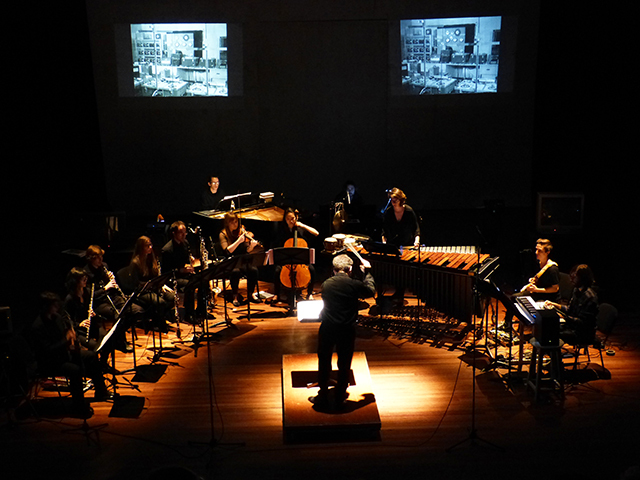 The repertoire of the ensemble consists of new collaborative multimedia works by its composers Yael Levy, Sascha Thiele and Nikos Kokolakis, alongside works by composers such us Peter Ablinger, Thrainn Hjalmarsson, Missy Mazzoli and Molly Joyce. 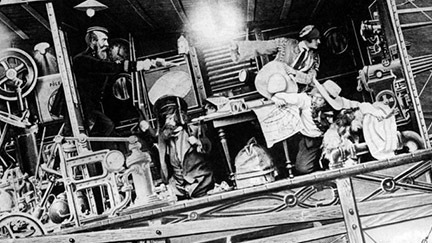 After the live show on the opening evening, Catchpenny Ensemble's “Georges Méliès – The Wizard of Cinema” will be exhibited in the Ketelhuis in De Nieuwe Regentes, where the following short films will be shown in full length (accompanied with the music composed by Catchpenny Ensemble): A trip to the moon, 1902; The Impossible Voyage, 1904; An adventurous automobile trip, 1905; Chimney Sweep, 1905; The Witch, 1906; The Astronomer's Dream, 1898; Tunnelling the English Channel, 1907; The eclipse or the courtship of the sun and moon, 1907; Dream of an opium fiend, 1908; The kingdom of fairies, 1903; Jupiter's Thunderballs, 1903; The Damnation of Faust, 1903; The conquest of the pole, 1912; Robert Macaire and Bertrand, 1906; The inventor crazybrains and his wonderful airship, 1907; Excursion dans la luna, 1908; Under the Seas; 1907; Joan of Arc, 1900; A Nightmare, 1896; The Merry Frolics of Satan, 1906; The enchanted well, 1903; Hallucinations pharmaceutiques, 1908; The Palace of the Arabian Nights; 1905; Rip's Dream 1905; The Mysterious Retort, 1906; The Pillar of Fire, 1899; A Moonlight Serenade, 1904; The Christmas Dream; 1900; Gulliver's travels among the lilliputians and the giants, 1902; The Mermaid, 1904; The Knight of the Snow, 1912.